One of the great features of Lezyne mini-pumps is that they all come with flexible thread-on hoses rather than a fixed pump head. This is a huge benefit for a few reasons. One is security: thread it on to a Presta or Schrader valve and it won't come off. Another is ergonomics; you aren't limited by holding the pump at a perfect right angle to the valve. A third is that this Flex Hose is ABS-equipped -- it has a bleeder valve on it. 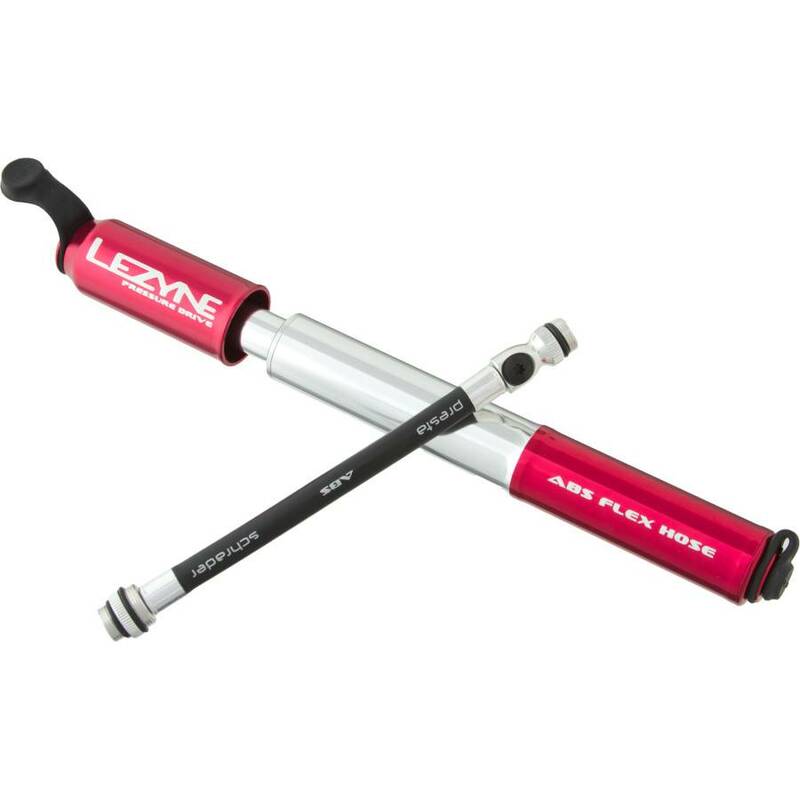 The Lezyne Pressure Drive Pump comes in two lengths: Small and Medium. Maximum pressure that one can attain with this pump is 120psi. There's even an accessory Pen gauge hose that screws into Medium pumps. The pump comes in High-Polish Black.